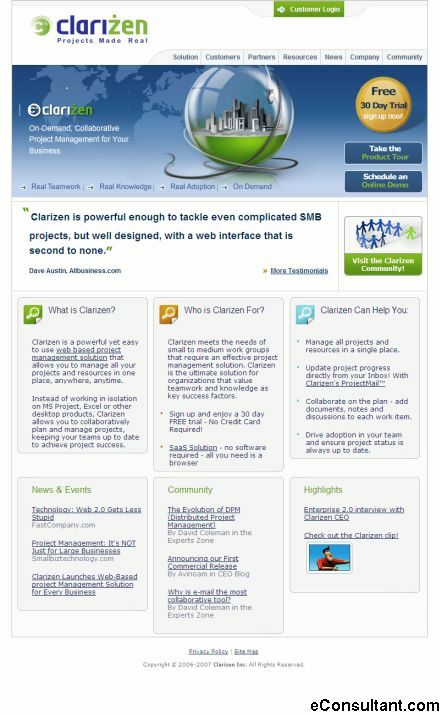 Description : Clarizen enables on-demand, enterprise-grade project management for everyone. Active participation and secure cooperation lead to true team collaboration, while up-to-the-minute live knowledge helps align project data with business objectives. These unique benefits are derived through Software as a Service (SaaS) – which requires no software and no dedicated hardware – and the freedom of communication of Web 2.0.